Quality Leader | Machining & Fabrication | Coleman Tool & Mfg. Corp.
Coleman Tool & Manufacturing is recognized as a quality leader in the machining and fabrication industry. 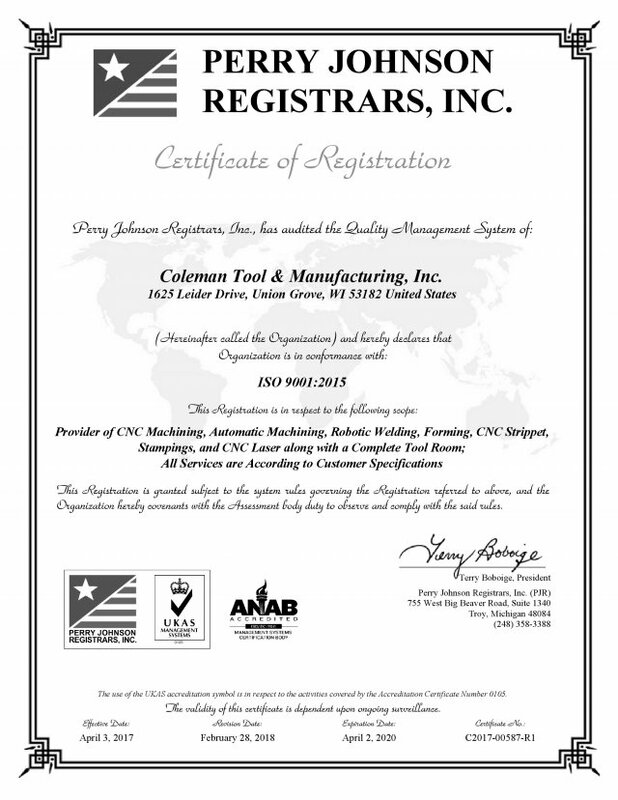 Coleman’s ISO registration certifies that they conform with high performance standards. This designation assures our customers we perform jobs to their specifications.